Over her 23 years in mental healthcare, Barb Pizzingrilli says we’ve made great strides in reducing stigma around mental illness. "In my experience, I think yes we have. We see a lot more people coming out and seeking help," says the Director of Niagara Health’s Mental Health and Addictions Program. "There is a lot more advocacy from families as well, trying to support and encourage their loved ones. Many years ago, families may have kept things behind closed doors and not been as willing to come forward and acknowledge mental illness in their family." 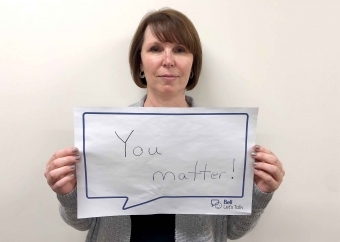 Public education campaigns like Bell Let’s Talk, which returns for its annual day on Wednesday, Jan. 30, have also been effective in reducing stigma, she says. But, she says, there’s more to be done. 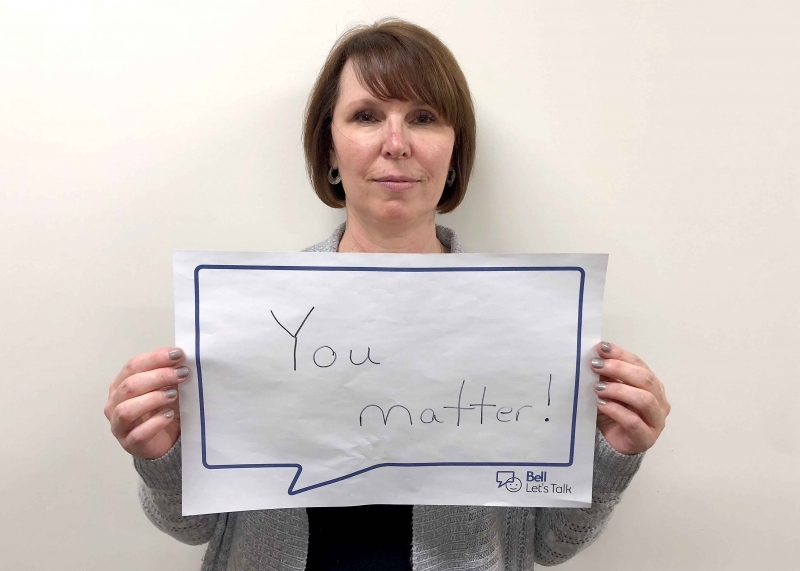 "Stigma can have such a profound and detrimental impact for individuals who experience mental health issues," Barb says. She says stigma can discourage people from getting the help they need, make recovery difficult because a person’s self-confidence is eroded and it can lead to isolation as people may fear negative responses from others. Talk openly about mental health. Take the time to talk to family or friends about mental health. Educate yourself and others. Ask to hear personal stories of mental illness. Ask questions to understand and learn more. Be conscious of language. Don’t use hurtful or derogatory language. Show compassion for people with mental illness. Compassion can be shown by saying a kind word or making eye contact with someone. Speak out about stigma. If you hear stigmatizing language take a stand and provide feedback to others about this. Learn more about Bell Let’s Talk Day here.